The Willyabrup cliffs are used by rock climbers and abseilers. This is a 2 second exposure at f22. On checking the Exif I found out why I needed F22 – I had left the ISO at 800 from a previous shoot. That’s a problem with the modern DSLR – there are so many settings that it is easy to forget something! There’s nothing worse though than getting home after a good shoot to find that the photos are unuseable because you forgot to set something! Fortunately this one was OK. The late afternoon sun gives the cliffs a nice warm glow. 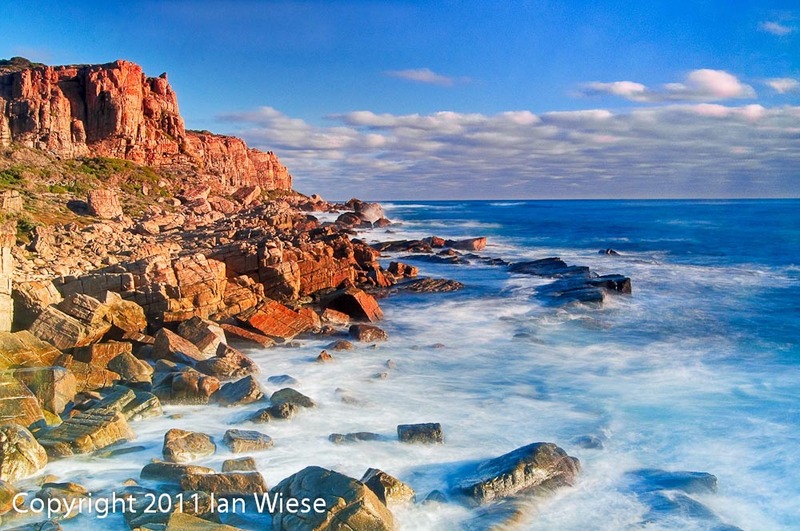 This entry was posted on March 1, 2011 by ianwiese. It was filed under Landscape, Willyabrup and was tagged with blue, blue water, cliffs, ocean, water, Willyabrup.